Its possible to invest a fixed amount on a monthly basis in mutual funds. 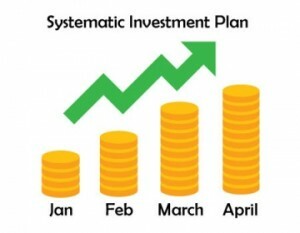 Its called as SIP (systematic investment plan). All you need to do is choose the amount, choose a fixed date, and your SIP will get started. You can stop your SIP anytime or increase/decrease it whenever you wish to. You can start your investments in mutual funds with a small amount as low as Rs 500 per month. Its for everyone ... Not just RICH ! Your money is not locked in mutual funds. You can invest and redeem your money from mutual funds anytime you want. There are special tax saving mutual funds called ELSS (Equity Linked Tax Saving Scheme's) where you can invest under section 80C and taken benefit. These ELSS funds are diversified equity mutual funds and they are high return/ high volatility based funds. ELSS funds come with 3 yrs of lock in. Your mutual funds investments are quite liquid and you can take out your money anytime. There is no lock in except when you invest in ELSS funds. However note that in some mutual funds, there may be an exit load which is applicable if an investor takes out the money before a minimum time frame. This is generally to discourage investors from redeeming their money for some emotional reason. If you sell debt fund before 3 yrs, the taxation will be exactly like fixed deposits, means you will pay the tax as per your rate slab. Mutual funds are not like Fixed Deposits or PPF where your investments will grow at a certain rate each month or year. Mutual funds invest in stocks of listed companies and as the nature, stocks prices fluctuate each day by a good margin up or down based on news, rumours, hearsay, emotions, sentiments, global news etc etc. So they are bound to move up and down and be volatile. How much return you can expect? Equity mutual funds are proved to have beaten every other asset class in long term and provided huge returns which beats inflation and create huge wealth for its investors. Equity mutual funds over the last 2 decades have given return in the range of 14-18% per year CAGR. If we talk about debt mutual funds, you can expect the returns in range of 9-11% depending on the type of debt fund. This is around 2-4% higher than your other fixed asset instruments like FD or PPF. Growth Option - Here your investments grow and all the gains compound back and grow in value over time. Its a perfect option for those who are invest in mutual funds from a long point of view and do not require any thing back in between. Dividend Option - If you choose dividend option, some part of your gains is returned back to you in form of dividends. Its good for someone who needs a regular income our of mutual funds. Equity Mutual Funds - These are the funds which invests primarily in stocks of companies. The value of these funds depend mostly on the stock market movements. Debt mutual Funds - These are the funds which have major investments in bonds, debentures and debt papers. These are highly safer funds and depend on the interest rates cycles. All other funds are just a combination of equity and debt in different proportions. Mutual Funds are regulated by SEBI and its very well designed product. All the checks and balances are kept in place and everything is safe from operational point of view. 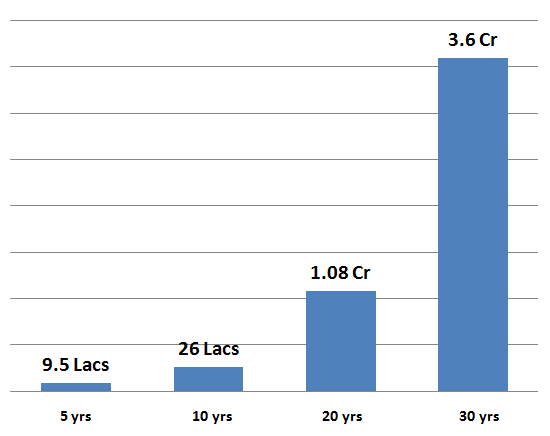 Mutual Fund as an industry is more than 25 yrs old in India and 100 yrs old globaly. Mutual funds invest money in 30-100 stocks. These stocks are from various sectors. So your money is diversified into different companies and your risk comes down. If one company does not perform well, many others will do and you will not incur losses. So compared to stock investing, mutual funds are highly secure and rewarding for a common man. Clients across India and Abroad trust Jagoinvestor for their mutual fund investments. More than 10,500+ SIP's are running with us through 2,300 clients across 90+ cities across the world. If you want to be part of this great group and take benefit of our expert advice, do talk to our team once. We make sure that we help you to plan your financial goals with proper calculations and suggest you suitable mutual funds as per your risk appetite. Ready to find out more about our service? Do talk to our team once to find out what we provide under our mutual fund service. Are there any account opening or transaction charges? How much time will it take to open my account? Once we receive your documents, the account will be opened in 3 days only, if you are already mutual funds KYC compliant. If you have never invested in mutual funds before, then the KYC process will take 7 more days. What all documents are required for this account? Do I need a demat account to invest in mutual funds? No, demat account is not required for investing in mutual funds. If I stop investing in future, will I have access to portfolio tracker? Yes, you will have access to portfolio tracker always, as far as you have your investments. Are you registered to distribute mutual funds? To sell mutual funds, one has to take a licence from AMFI, The Association of mutual funds of India by passing an exam. How do you get compensated? Why do you offer FREE platform and advice on mutual funds? Yes, we get compensated by mutual fund companies. If you invest Rs 10,000 in mutual funds, we earn around 1% of that, which is Rs 100. We help you to grow your wealth over long term by offering quality advice and robust monitoring of your funds. I already have a demat account, Do I still need to open this account? Yes, you will need to open this account with us, if you need our advice and assistance. Which all AMC's are supported by this platform? 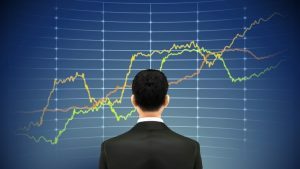 Can I invest in all Mutual fund houses? Almost all the major and mid-level AMC’s are supported by the platform, you will get almost all the choices.